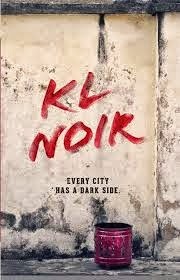 Fixi Novo, a new crime imprint in Malaysia, sent me a review copy of the first of four planned collections of KL Noir (the first volume is subtitled Red, with White to be the next volume). Red, indeed: this is a fairly bloody collection, though some of the darkness comes not from incarnated souls but disembodied ones. The introduction by editor Amir Muhammad is very helpful in positioning the stories both in a Malaysian and an international noir context (and also helpfully refers to the supernatural elements in the stories to follow). The collection itself is diverse and of high quality. Some of the stories are quite short, others almost of novella length, but in every case the tale and the setting are vividly evoked. Several deal directly with the Islamic culture of the country, while many are more influenced by a more animistic religious tradition. All of them are heavily influenced, too, by global pop culture: even when the setting is more tribal than urban, there is a confluence of Malaysian and non-Malaysian pop music, culture, movies, etc.--and especially the collective culture of noir fiction and the specific history of Malaysian pulp writing. There is also a good bit of Malay slang, but the meaning is always pretty clear and the language adds to the distinctiveness of the stories and the collection. Many of the stories give primacy to female characters, too, and a substantial number of the writers are women. The first story, by Adib Zaini, in fact describes the arc from girlhood to criminal of a young woman (daughter of an imam) who takes a job in an internet cafe to supplement her allowance. She is a student and a runner, and her voice is clear and vivid, from her normal life to her downfall and flight. Eeleen Lee's story brings together traditional oracular divination, modern technology, Chinese gangs, and contemporary shopping in a grim but still entertaining nightmare. Kris Williamson offers a Malaysian spin on serial killers, police corruption, and in particular Jim Thompson. Dhivani Sivagurunathan's The Dualist, one of several stories that focus sympathetically (in one way or another)with homosexual characters, deals with obsession that reaches an ultimate point. Megat Ishak gives us a nightmare vision that is enough to terrify the story's gangsters. Other stories deal with sea monsters, revenge tragedies, and everyday crimes, all from the distinct perspective of the denizens of KL's dark corners. I hope to have a chance to see the sequels to this collection since the first is a tantalizing glimpse of a world not easily accessible to outsiders.